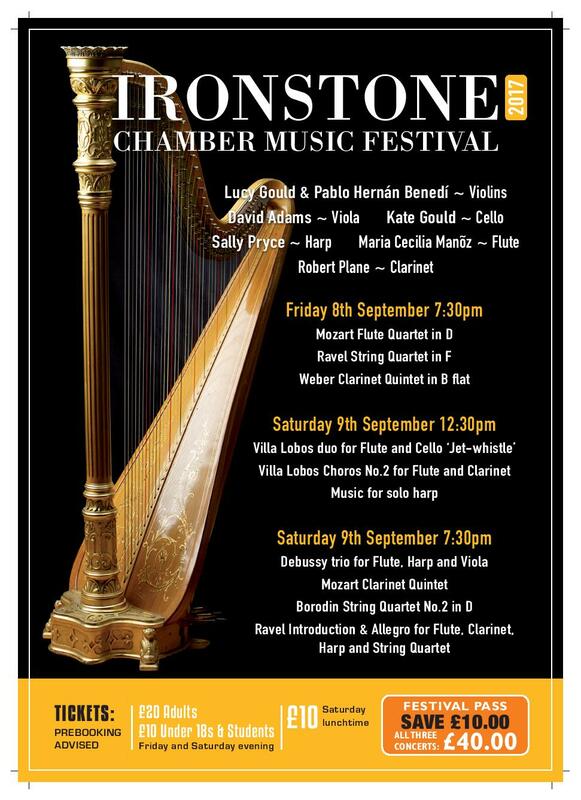 Tessa & Chris Howell warmly invite you to this, the sixth Ironstone Chamber Music Festival. Our Artistic Directors Lucy & Kate Gould have assembled a wonderful array of first rate musicians including a flute player from Argentina, a Violinist from Spain and a much heralded Harpist. He, Oliver Wass has won the Guildhall Gold Medal – the first harpist to do so. Previous winners have been cellist Jacqueline du Pre, violinist Tasmin Little and renowned baritone Bryn Terfel. Some of you will remember Robert Plane, principal clarinet with the National Orchestra of Wales, who has been associated with the music for Doctor Who! Remember that Horley Residents come at a reduced price and Horley children come free thanks to the Michael Hardinge Trust. We should like to see as many of you as possible. 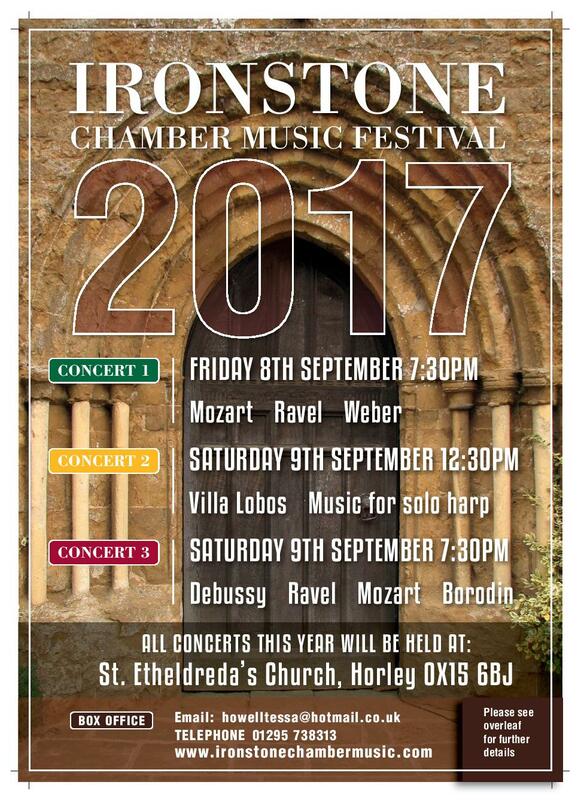 This entry was posted in Villagers and tagged Ironstone Chamber Music Festival, St Etheldreda on August 19, 2017 by thehorleyviews.